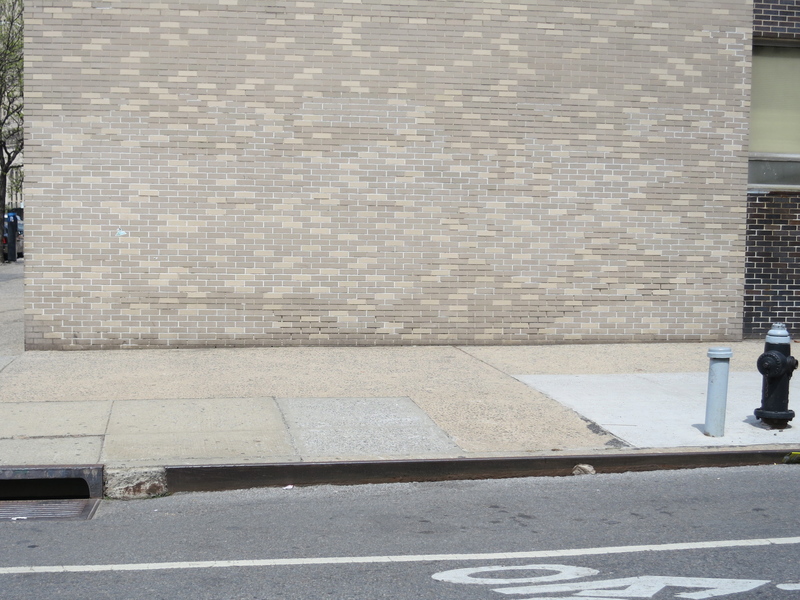 I happen to love this location not only because it’s within walking distance of my apartment, but also because it brings an otherwise dead corner with a blank wall to life, activating the space for people. When I stopped by to take this picture, someone was checking out the kiosk, a dad was explaining bike share to his kids, and a few others were snapping their own photos. Of course, this initial curiosity will soon turn into the quotidian utility of accessing transportation, but the space will still be active. Jane Jacobs would approve. What if the police have to tear down that wall to destroy terrorism? 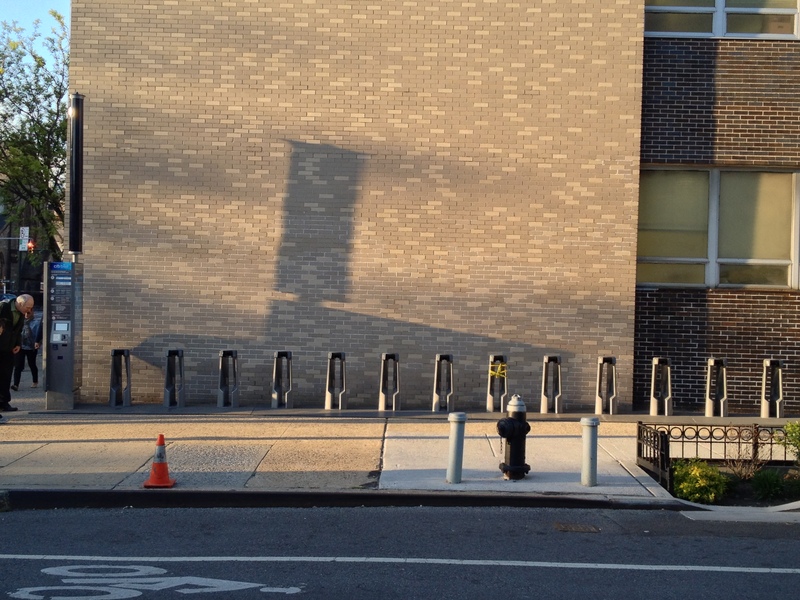 Or what if a suicide jumper stands on one of the bike share docks? I see what you did there. You took the first picture on a cloudy day, and the one with the docks with a beautiful sunset! That ranks right up there with your habit of bussing bikeshare “supporters” in from New Jersey! Is one of those docks a crime scene? Already?